Start your Beartopia experience by joining VicBears on the balcony of the iconic Daylesford hotel for Sunset Bears. Tunes will be pumping, beers will be flowing and your hosts Anne Marie (Muma Bear) and Graham (The Bear who’s just right) will make sure you feel right at home. A new event for Beartopia – a charity luncheon to coincide with World AIDS Day. Great food, great company and generous charity raffles – a great way to continue raising awareness about the issues surrounding HIV and AIDS, show support for people living with HIV and to commemorate the people we have lost. The Farmers Arms Hotel in Daylesford will be hosting ChillOut’s 3rd annual Queer Country Bake Off on Saturday 1 December 2018. Put your baking and decorating skills to the test and you could see yourself crowned as the baking King or Queen of ChillOut. Hosted this year by the amazing Mitch and the welcoming team at the Farmers Arms hotel, this is the night to dance under the stars, throw your hands in the hair and throw some shapes on the dancefloor. The cute as a newborn speckled pup and VicBears favourite DJ David Virgona will be on the decks so you can expect some filthy banging tracks and some pure handbag screechers to keep you dancing until late. 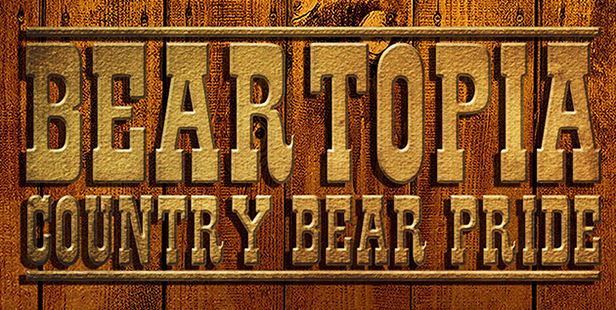 Beartopia Sunday Bear-Be-Que Feast – a good ol’ country BBQ with bevvies and bear buddies. Simple honest food and chance to chill with old and new friends before heading back to the big city. Your BBQ menu includes Wagyu Beef Burgers, gourmet sausages, crunchy fresh coleslaw, country potato salad and crusty bread rolls. The perfect way to wrap up a great weekend away. Daylesford Cider Company is a great little venue where the cider is handcrafted using 17 varieties of English-heritage listed apples grown organically on the farm just outside Daylesford. Beartopia 2018 runs Friday 30 November to Sunday 2 December. For more information, visit: www.facebook.com/VicBearsInc for details.